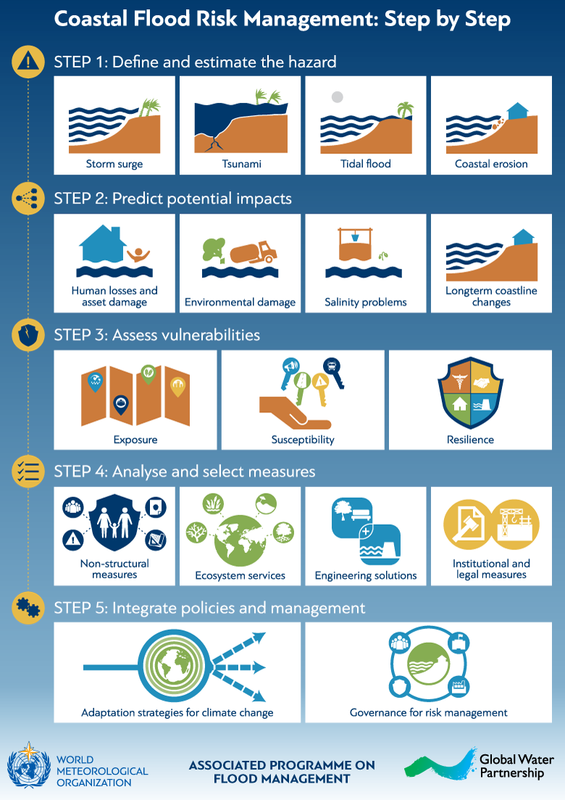 This interactive infographic outlines the building blocks for formulating a coastal flood risk management plan, which can be tailored according to the context of a country with its own particular hazards, stage of development, socio-cultural characteristics and institutional structure. Click on the pulsing hotspots to learn more about each topic. For detailed technical guidance, download our publication Coastal and Delta Flood Management from the Flood Management Tools Series.